There’s a small, dark space in the bowels of Manchester’s Corn Exchange called ‘The Dead Room’. Rumoured to be the spot where two druid lines intersect, it’s an unnerving place, not least because it’s permanently ice-cold and pitch-black. 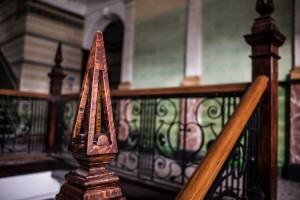 During the £30 million renovation of the Grade II-listed building, builders have given The Dead Room a wide berth amid reports of doors seemingly opening and closing on their own and the unsettling nature of this odd, unexplained nook. Even if you don’t believe in ghostly goings-on, this part of Manchester has a ghoulish history, including sightings of the Devil in nearby Chetham’s School of Music and tales of hidden graveyards. Then there’s the Corn Exchange’s address: Hanging Ditch. One school of thought has it that this cobbled street was once a trench where medieval cloth makers hung out their linen. In another, more apocryphal, version it was a place where sinners, instead of sheets, were hung out to dry. Gallows humour? You betcha. 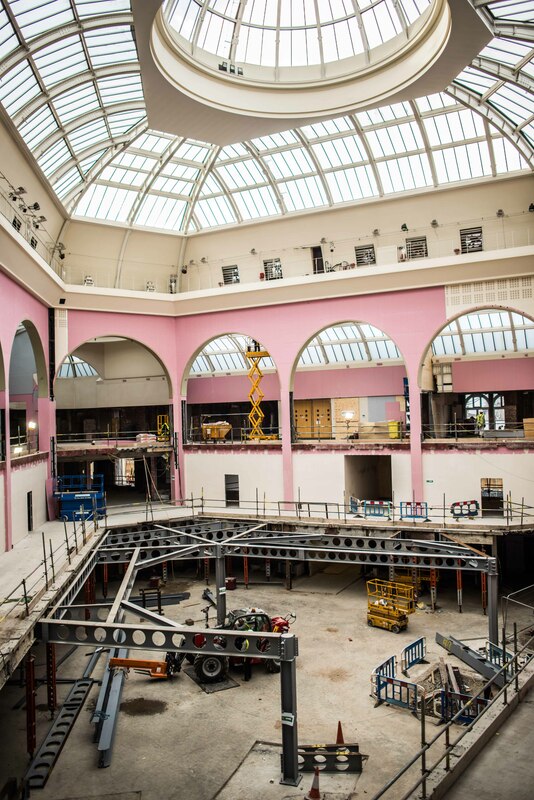 Today the Corn Exchange is experiencing a rebirth – and not before time. A powerful reminder of an age when Northern cities led the industrial and agricultural world and thousands of corn traders flocked there to buy and sell their wares, a Corn Exchange has stood on the same spot in Manchester since 1837. Later that century, in 1897, a new, larger structure was erected in order to accommodate the needs of farmers and merchants, opening for business in 1903. Unlike some other corn exchanges, Manchester’s magnificent example has survived two world wars, town planners and, in 1996, an IRA bomb. When the the largest peacetime bomb detonated in Britain shattered the peace of that sunny Saturday morning, the Corn Exchange was just a stone’s throw away from the epicentre of the blast. 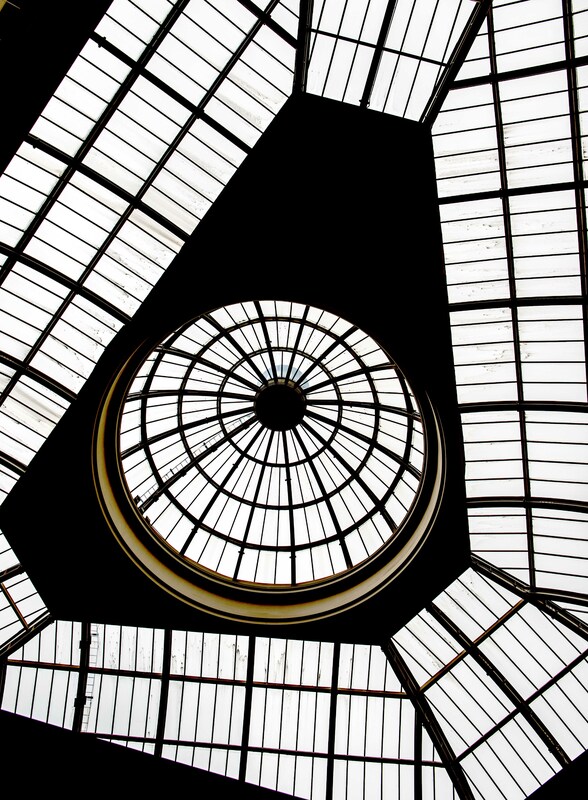 Its glass dome was blown in and the building itself was severely damaged. 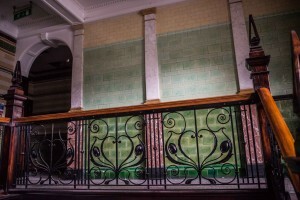 I recalled this event in an article for Contributoria last year: “Prior to that June day, the Manchester Corn Exchange had been home to an eclectic selection of market traders, from record shops selling vinyl to jewellery makers and second-hand booksellers. I remember how the wooden floor creaked as you meandered among the stalls, the smell of incense heavy in the air. It was a magical place. “In the aftermath of the bomb, the Exchange’s landlord invoked a force majeure condition in the lease to evict all the tenants. 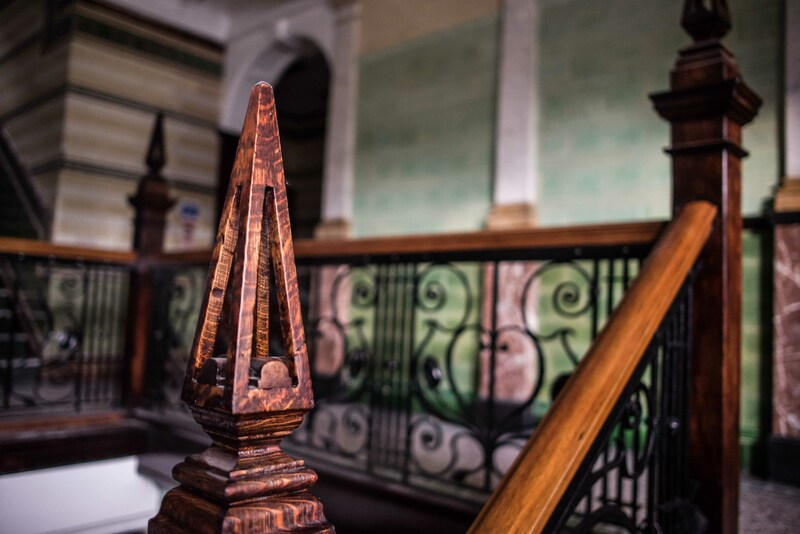 The building was stripped of its character with much of the Edwardian interior removed. What had been a unique space, alive with history, was turned into an anonymous glass entity, home to high-end shops seen on every high street. “They even changed the name to The Triangle. Now the designer shops have closed, The Triangle moniker is no more, and plans are well underway to transform the exchange into a top dining destination. 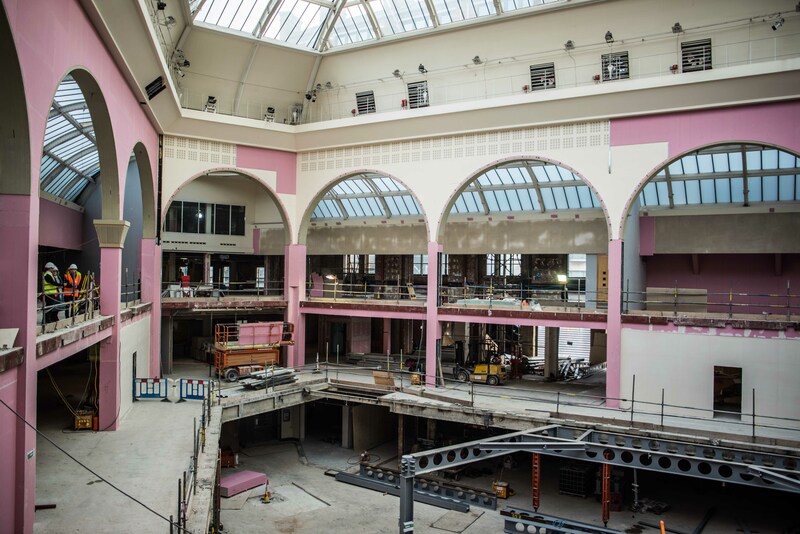 “The Arndale Centre over the road has more than 40 million people go through its doors each year and in the evening there are events at the Arena and The Printworks. 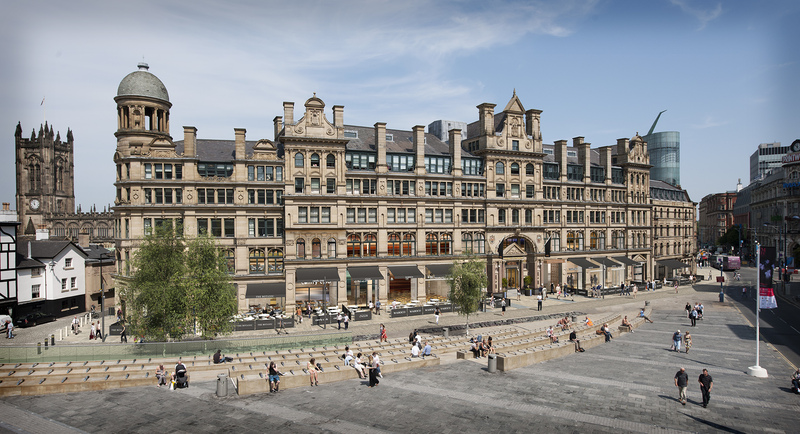 We know that a new premium casual dining cluster to serve all of these destinations can work,” says Simon Green, associate director at Aviva Investors, owners of the Corn Exchange for the past ten years. 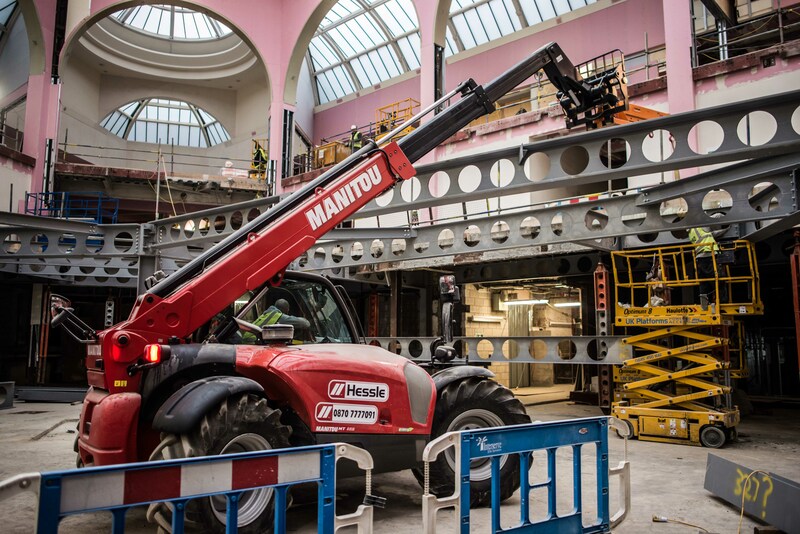 “There have been various changes in Manchester and the economy since 2005 which have affected the scheme. We didn’t have an anchor, the units in particular were small. As a retail destination, it wasn’t sustainable in the long term. 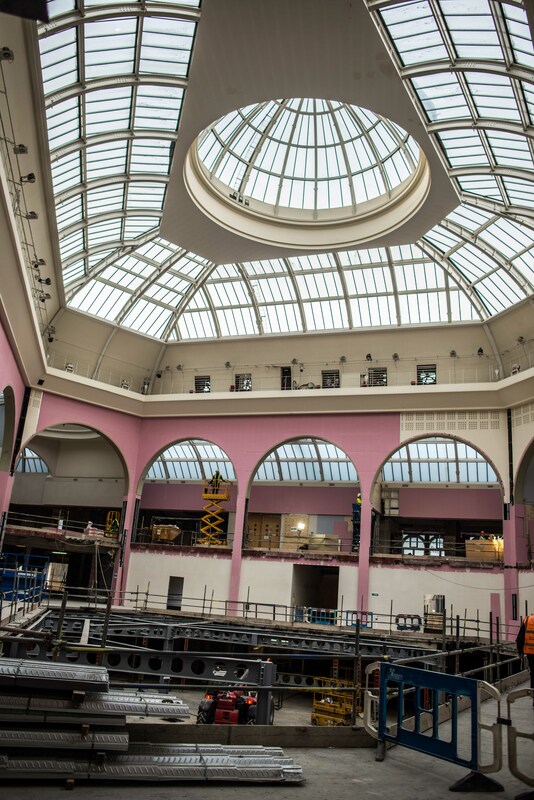 Construction workers have spent the last four months de-cluttering the interior of the Corn Exchange, stripping out four escalators, a glass lift, the free-standing former Caffè Nero unit, as well as demolishing the trading floor – soon to be replaced with new timber. 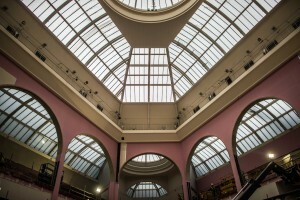 On the day I visited, I had a sense of how the Corn Exchange used to be, and it was a good feeling. 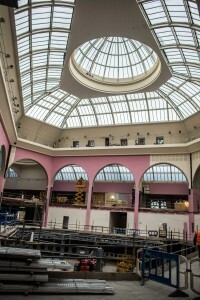 Light flooded in through the beautiful glass dome and, in the absence of 20th century fixtures and fittings, the space seemed enormous. 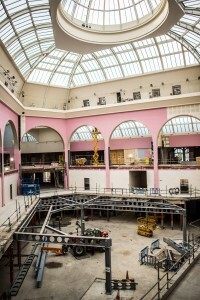 Although it’s still a building site, it’s easy to imagine how it will look when it reopens in July. Before the Exchange welcomes new tenants, it has been stripped back to its bare bones. Walking around feels like an intrusion, albeit a thrilling trespass. Up in the offices, there’s an eerie sense of quiet. In room after room, random chairs abound, phones are strewn across tables, and everything is covered in a thick layer of dust. It’s all a bit apocalyptic – as though a bomb’s gone off and everyone has rushed out, never to return. 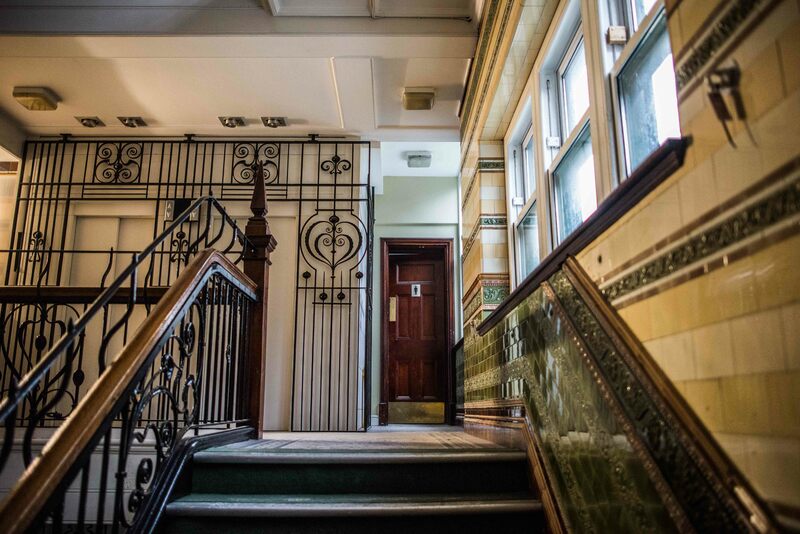 However, plans are in motion to turn the old offices into a boutique hotel using the old entrance (remember the beautiful tiled foyer?) as the hotel reception. An operator has already signed up although its identity is still under wraps. 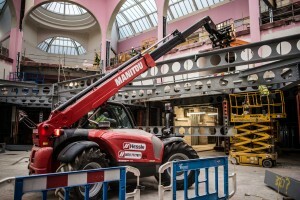 Already signed up are, among others, the Mexican street food eatery Wahaca (founded by the first female Masterchef winner), a third Manchester outlet for Byron, Zizzi, Tampopo, Pizza Express, Eclectic Grill, Vietnamese street food joint Pho, Italian restaurant Vapiano, Salvi’s, and Cabana Brasilian Barbecue. For some of these outlets, it’s their first venture outside of London. Apart from, that is, inside The Dead Room….